To provide a safe and secure teaching and learning environment, it is critical for school administrators to establish a plan for managing emergency events and provide a school-wide approach to developing a positive school culture. School emergencies must be managed in a way that ensures the safety of everyone involved. The goal is to create an integrated and coordinated response plan that includes community emergency responders to help facilitate a synchronized plan for all hazards and threats. There are 5 phases of emergency management that are inter-dependent and help create more effective emergency management overall. Emergency management planning is an ongoing process that is continually updated, where lessons learned are a valuable part of the management improvement process. disasters and critical incidents to the school community and property. It aims to decrease the need for a response or to limit severity. Emergency communication, safety awareness planning and training, having equipment, search procedures and crime reporting are all a part of phase 1. 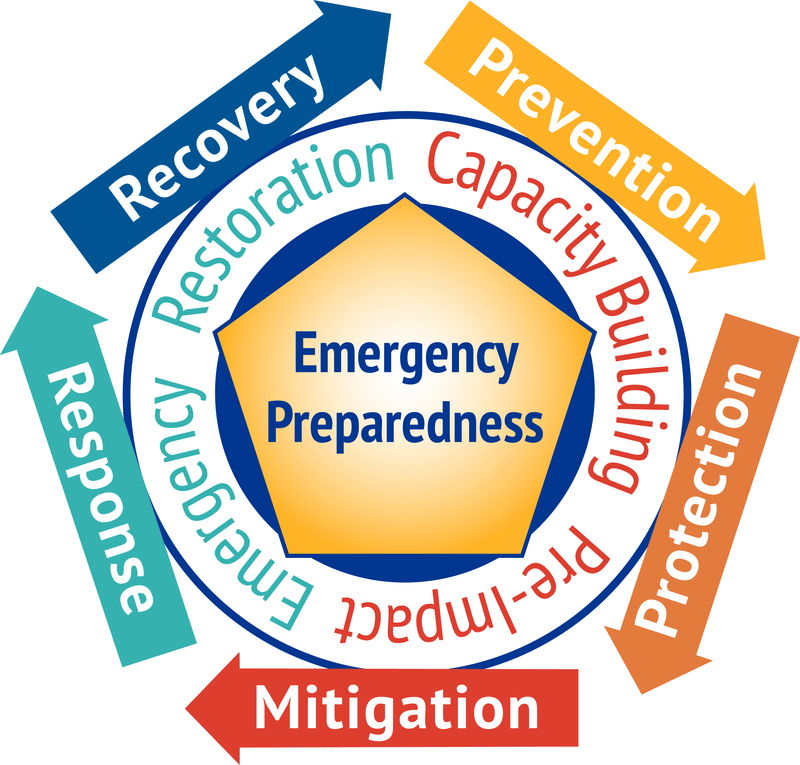 Prevention involves having emergency preparedness plans, training and supplies in place. Playground, Science Lab Sports Field, Fire Inspections, Fine Arts/Home Economics Shop, Parking Area, Property, crime & liability, Surrounding Environment, Neighbourhood Risk Factors, Communication Systems, Emergency operations plans, Maintenance,& Special Events. PHASE THREE · Mitigation involves follow-up actions after an event that decrease the impact of critical incidents. This may involve physical and structural recovery of school buildings, emotional, mental, physical and spiritual recovery supports, incident debriefing and post incident review. PHASE FOUR · Response involves the emergency management team and critical incident response team responding to events as they occur using an incident command system and emergency management plan. Conducting a damage assessment is part of the response to a critical incident. PHASE FIVE · Recovery involves restoring the emotional, mental, physical, and spiritual well-being of the school community. It involves restoring learning, business and physical and structural areas of the school. All staff need training in how to recognize and speak to an adult or child who has been affected by a crisis or tragedy. Follow-up activities include post incident debriefing, reporting and reviewing, as well as, improvement to the plan and corrective action. (Doughy Centre resource). Counsellors and teachers who are trained in leading developmentally appropriate discussions are helpful in the recovery process. Many trained school staff can help in the process of psychological first aid following a critical incident or traumatic event. Long term therapy is usually conducted by outside professionals and agencies. Following a crisis, it is important to remember that not all people are affected equally by a crisis and not all people who have been involved in a traumatic event are traumatized. All those involved need to be supported in different and effective ways for a community to restore health and wellbeing. An Incident Command system where the command, control and management during an emergency response is made up of unified and centrally controlled emergency organization, with a chain of command that delegates specific responsibilities. This approach should be used for all school emergency responses. A comprehensive approach to developing a safe and caring school culture, in conjunction with effective emergency management, begins with careful planning, effective training and whole community awareness. 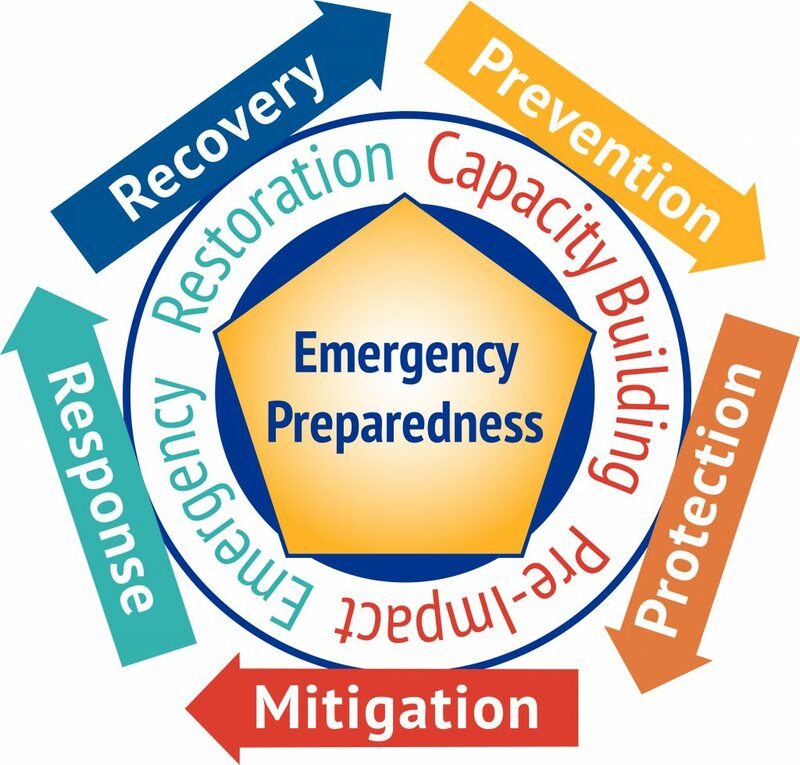 Emergency Preparedness week is May 6-12 and is a great time to participate in opportunities available in your community, such as family emergency preparedness.